Tally has recently started its Job /Recruitment services. Tally is actively involved in making synergy between selling product and providing trained man power for it. 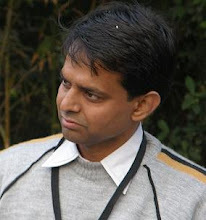 For this they have built a strong 2000 + TallyAcademy Network all over India. Time and again they have come up with innovative plans to boost its training network and placement network. Few years back Tally started its recruitment services and provided free of cost recruitment services by making biggest placement services in India. Now Tally has made more focussed approach to achieve this synergy, Tally's Job portal. Don't have not enough resources to get services of a professional recruiter. Enough posts to publish or man power requirement. SME's make large chunk of employment generator. This recruitment is normally done through references and personal contacts. This segment has been now taken care by Tally through its job portal. 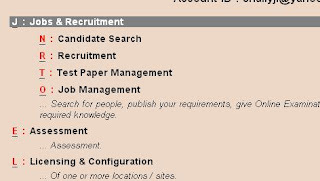 Search Candidates according to his requirements. Make a test to check the knowledge of candidates. Call the candidates and take their knowledge test. Tally Control Center is the answer. All you need is rel 2.0 of Tally.ERP9. Perhaps those who have explored control center have seen non highlighted options of Jobs and recruitment, search candidates etc in control center. Now they are active. One thing should be taken care of is that Tally.ERP 9 rel 2.0 needs valid Tally.Net subscription for at least once. When i say once then it means that as these features are available in control center of Tally.ERP 9 rel. 2.0 it would be available in future releases. So subscription is required. Call them via mail or contact number. When candidate comes assign the test to them in your office. In my coming posts i would elaborate on how this can be done step by step. Users can post queries regarding this as comments. Tally.ERP 9 Why to Install?How to Install? Want to learn Tally ? Getting Started List. Great Post. A lot of useful information here. I’m sending it to some friends! Anyway Thanks,payroll accounting software.